Oh, you know, just Robert freakin’ Irvine. I was contacted by my friends at Subway (who are also sending me some fabulous stuff to giveaway next week!) 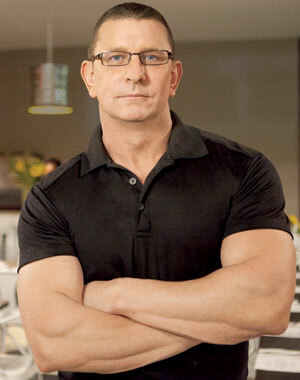 to do an interview with this guy! However, the event is in LA so I’m sending my PR consultant (haha!) on behalf of this blog to get an IN PERSON interview to talk about his newest challenge with Subway to promote avocado season! Freaking awesome, right? I’m so excited to share the interview with you guys on Monday! Now, while I wait anxiously for the interview to be over so I can get the SCOOP from her, I’m going to share some amazing pasta with you. Guys, let me warn you before you freak, it’s really…purple. But don’t worry, that’s normal. So gorgeous, right? I know, it looks like it shouldn’t be that color. And I get it. But guys, it’s natural. Unlike my hair color. I saw an idea for this recipe first on one of my favorite little bloggys, Bev Cooks. I was completely amazed by it and knew I had to have it. Just absolutely had to make it. Except, I wanted something a little different for the sauce. A little creamier, tangier, with a bit of zest. So, naturally, I added in some 2% Chobani and some lemon. 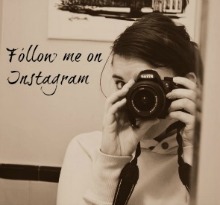 And guys! It made this. This beautiful sauce in front of your eyes. Can you believe it? Can you flipping believe the look of this? It reminds me of something they’d eat in those fields of candy in Willy Wonka, right? Just drink it? Except, it’s beets. So the children wouldn’t be as stoked to eat it. Okay, well, they are a little scary looking. They look like scary huge bug aliens, don’t they? Well, once you roast them, remove their skins, pulse them with Chobani and other delicious things, they look less horrifying and more pretty. See! And one more photo for good measure. If you don’t like beets, you won’t like this. It’s very beety, but still creamy with a tang of zest and garlic and onion and AWESOME. It’s just awesome. So, make it. And wow your friends with it’s beauty. I mean, it’s almost too pretty to eat. ALMOST. Cook pasta for about 8 minutes in boiling water, or until soft. Rinse and set aside. Rinse beets with water. Preheat oven to 400 degrees F. Place beets on a lightly greased roasting pan with skin on. 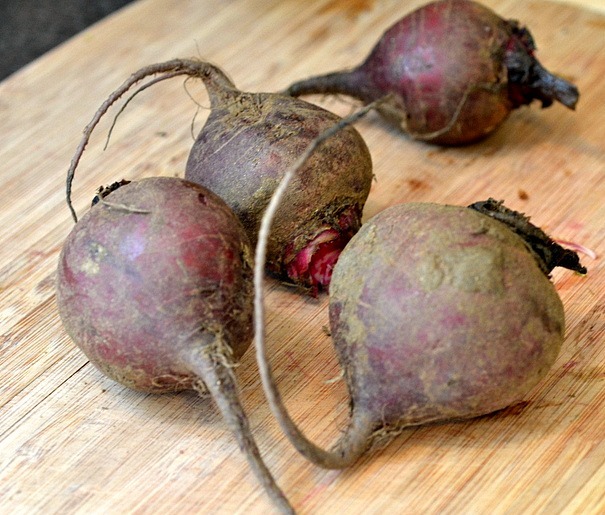 Place in the oven and roast for 35 – 40 minutes, or until beets have softened. Let cool. With gloves on (so you don’t stain your hands) gently peel away the skin of the beets. 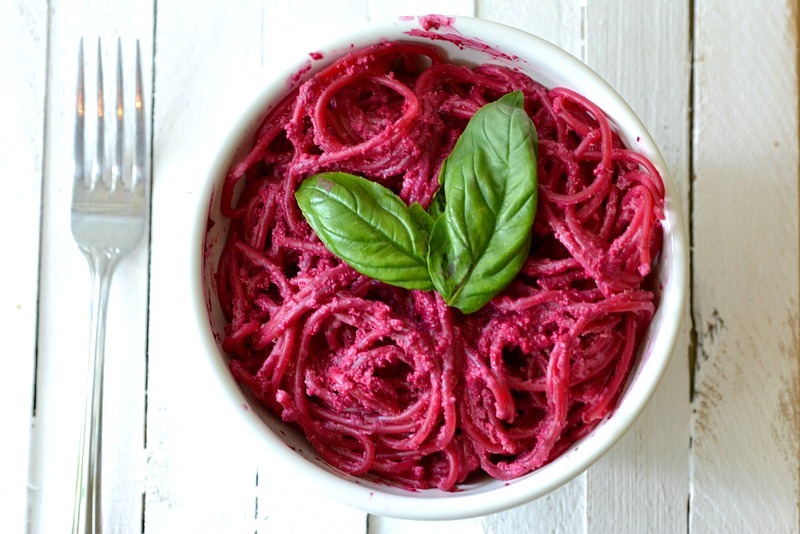 Place the whole beets into the base of a food processor. Add olive oil, lemon juice, salt, pepper, garlic and onions. Pulse until it resembles a puree. Add in yogurt, lemon zest and chopped basil. Puree again until mixture is fully combined. Taste test and add additional salt or lemon zest if need be. Pour mixture over pasta, garnish with extra basil leaves and enjoy! I love the look of this. Sounds really amazing. And I can't wait to hear about the interview! Wow. 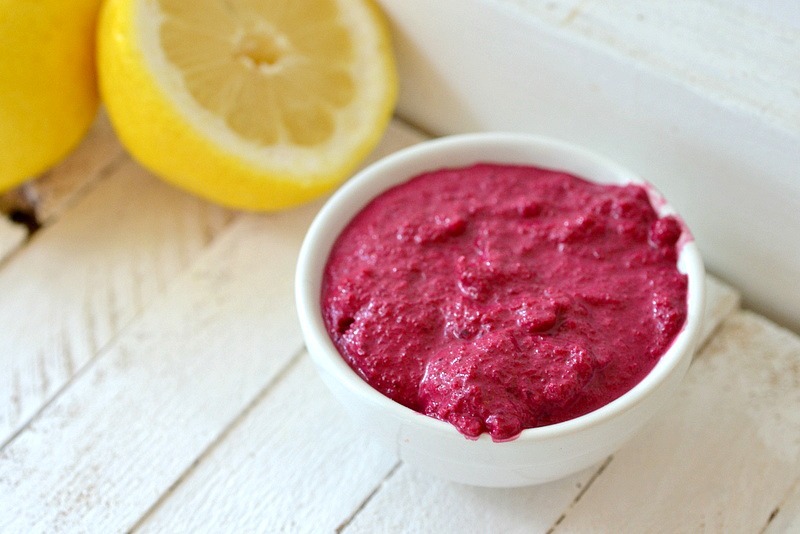 Beets AND Greek Yogurt. This is me in dinner form. Thanks for sharing! oh my! 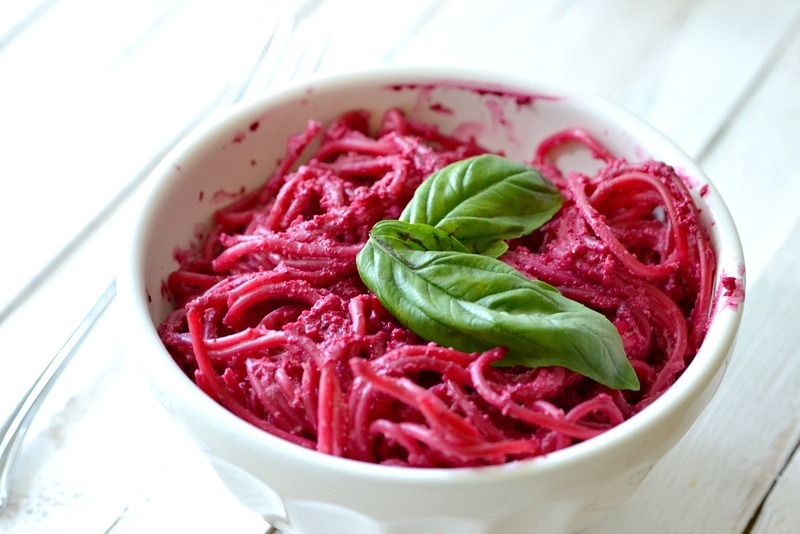 i would eat this pasta just based on its awesome color! i am sure it tastes just as good as it looks! i love this idea! not only is it gorgeous, but i love all the healthiness that comes from the chobani + beets. yum! What a gorgeous pasta! Love the combination of beet and yogurt here. So unique and wholesome. I always underestimate the wonderfulness that is beets! This looks delicious! LOVE the color the beets adds! Excellent recipe! This looks amazing! 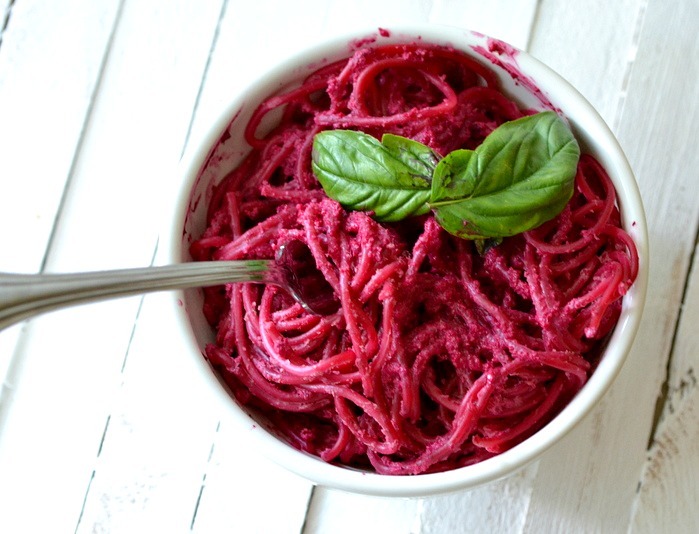 Love the color and I love beets! 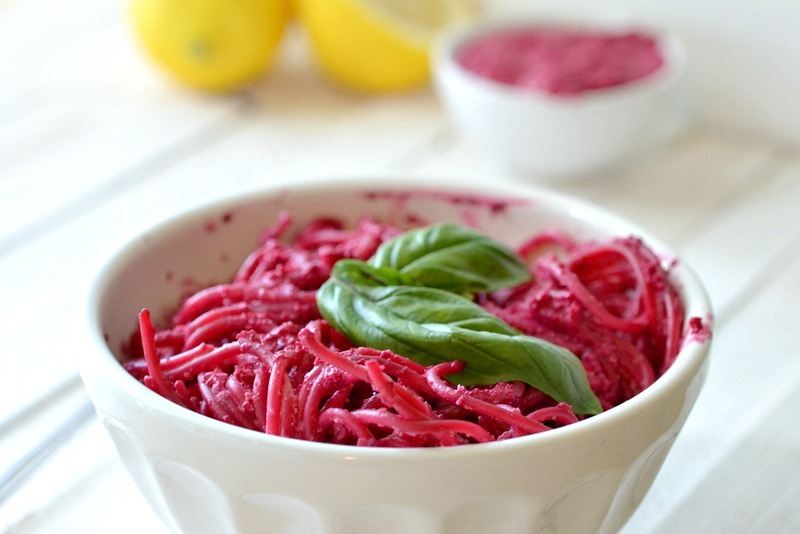 I'm so intrigued - what a gorgeous color and I'm a die-hard beet & pasta fan. Seems like a win-win! Oh my goodness, this turned out GREAT! It wasn't made exactly the same as instructed (garlic powder instead of cloves, and some other little tweaks). The color turned out gorgeous and the taste was light and fresh. I love this recipe and will keep it around. Thanks bunches for sharing it!! Do you serve them warm or cold? Yes! Finally someone writes about marketing.